The German Quark Stollen Recipe is prepared without marzipan and yeast. To prepare the German Quark Stollen Recipe, add the raisins and Zante currants in a bowl, spread the rum over the fruit, mix and let it soak overnight. Mix the flour and baking powder and sift into the bowl. Add sugar, vanilla sugar, salt, spices and mix using a cooking spoon. Make a hole in the center of the mixture to place the eggs. 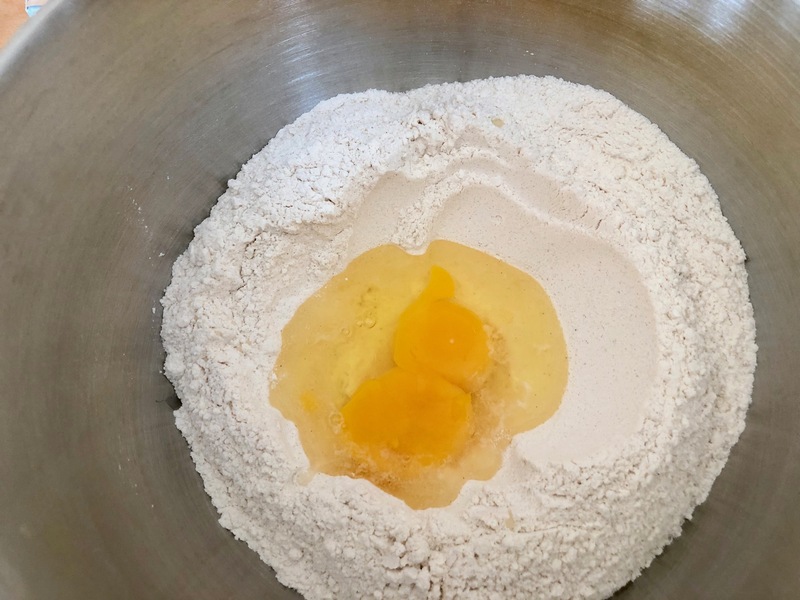 Mix the eggs with some of the flour until it is mushy. 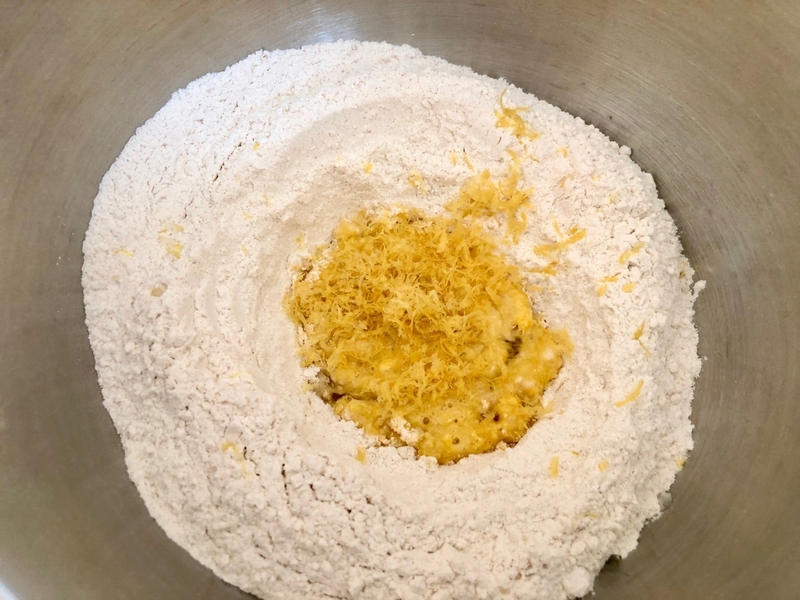 Grate the lemon peel on top of the egg mixture and cover with flour. 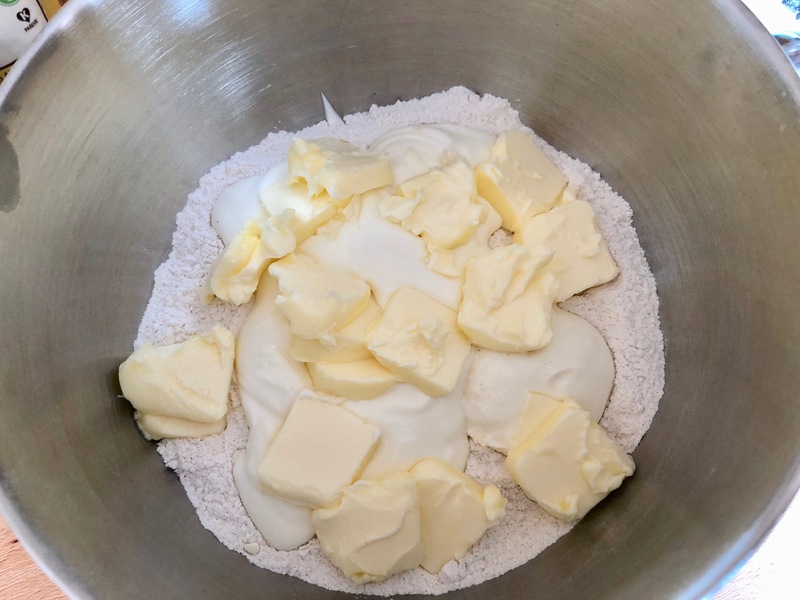 Spread the quark and butter over the flour mixture and knead the dough using a stand mixer or a handheld electric mixer with the kneading hooks attached. Chop the candied lemon peel either with a knife or in a food chopper. If you are using a knife, it makes chopping easier, to have the lemon peel frozen. One after another add the chopped lemon peel to the mixing bowl, the soaked raisins, and Zante currants and finally the almonds. 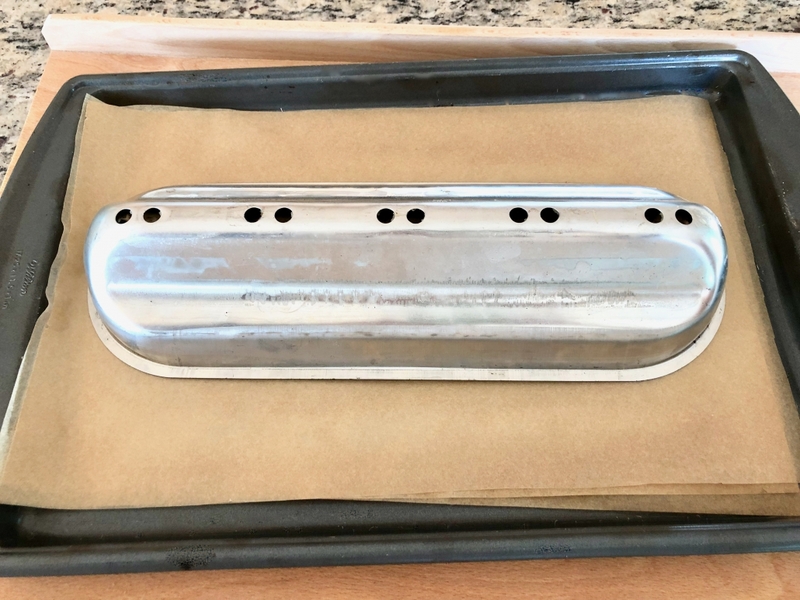 Cover a baking sheet with three layers of baking paper. Place the dough into a buttered stollen pan which you can find here. Preheat the oven to 220°C-230°C (430°F-450°F). Place the stollen on one rack below the middle rack. Turn the heat back to 170°-180°C (340°F-350°F). Bake for 40 minutes. Take the stollen pan off the stollen, place the stollen on the middle rack and continue baking at a temperature of 170°-180°C (340°F-350°F) for 25-30 more minutes. Melt 50 g of butter and immediately brush the melted butter onto the warm stollen. Sprinkle the half of the powdered sugar on it. After the stollen cooled down, sprinkle the rest of the powdered sugar on top. To try the Marzipan Stollen click here, the Christmas Stollen click here. The Quark Stollen does not need much time to age. It can be served after 2-3 days. If you want to prepare ahead, place the stollen in the freezer or wrapped in aluminum foil in the refrigerator. 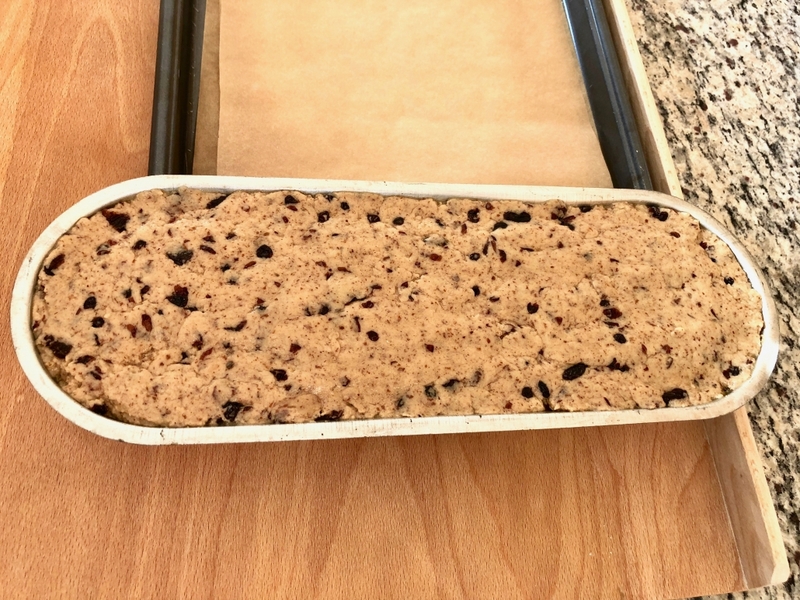 Tipp: If you don’t have the stollen baking pan, you can use a baking ring or just form the stollen with your hands. If you use one of these two methods, the stollen needs to be covered with aluminum foil for the last 30 minutes of baking time.